Designer and Creator of fine hand crafted furniture - The Imix Club. Fine furniture is made in solid wood, best of breed joinery architecture and fine finish. Creating Ming Style Chinese furniture, Modern Chinese furniture, Modern furniture to Art deco furniture. It’s love - love of fine creations. A beauty that is beyond words. Simple purity that quietly warms your souls. It celebrates the harmony of solid and void, of lines and planes, of reflections and depth, of forms and essence. If you stand firm in the importance of details, and are serious about inner quality; if you look not for ostentation or fashion but depth and substance, you would love our creations. An expression of deep-rooted passion and skills, it is genuine handcrafted furniture - solid wood or else - that stirs your senses in every way. Read the story of how, over the course of close to twenty years, we helped this client fulfil his long list of bespoke items of furniture. Make a virtual visit to our current atelier on Bonham Strand West, Hong Kong. Get a feel on the quality of our creations up close, with photos that speak better than words. See how world renowned interior designer Tony Chi collaborated with us to furnish the posh hotel, elevating the mood and character of the interior space. Furniture in a simple organic form never ceases to please. 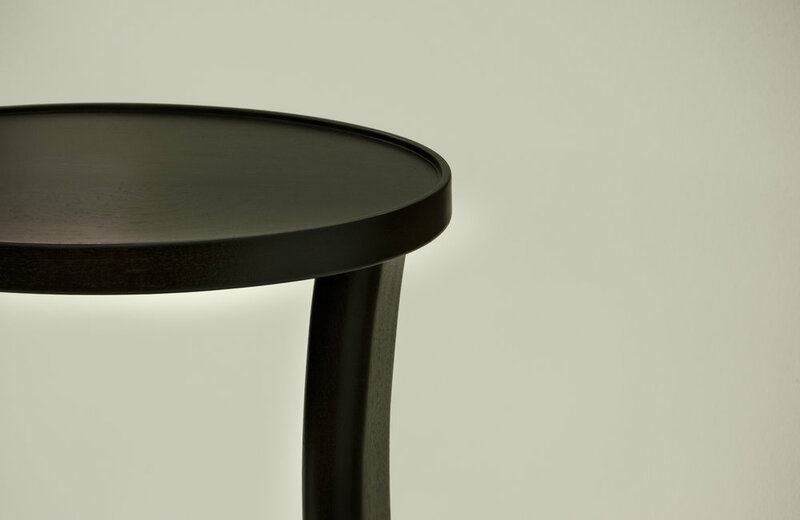 Best is the simple form delivers its intended functions effortlessly and beautifully - guess what are these for this table we custom designed? Yes we design and make brass furniture too, honouring the full potential of solid brass as a classic and high quality material. The finishing processes of a piece of finely lacquered furniture can be daunting. See how our craftsman painstakingly scrape fine each and every surface and edge, with very sharp steel blades. This is only the first of numerous finishing steps to yield a one of a kind finish effect.